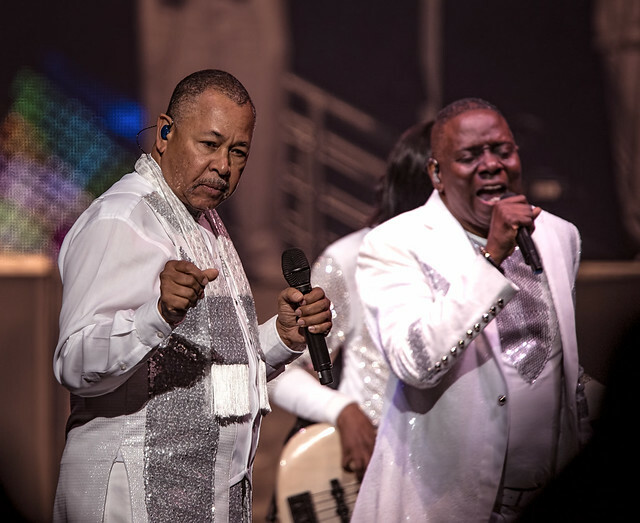 The timeless heroes of soul, R&B, and disco kept the people dancing with hit after memorable hit, launching their set with “Shining Star,” their 1975 #1 hit from the extraordinary 1975 album, That’s the Way of the World. 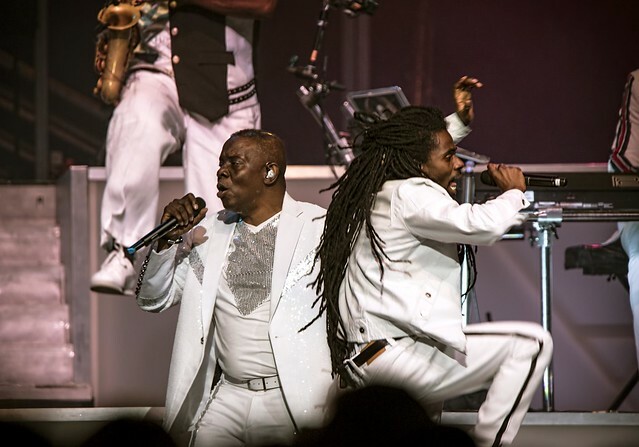 The band filtered onto stage, clad in glittering white suits, and lead singer Philip Bailey took center stage to deliver the set with his ever-amazing voice. 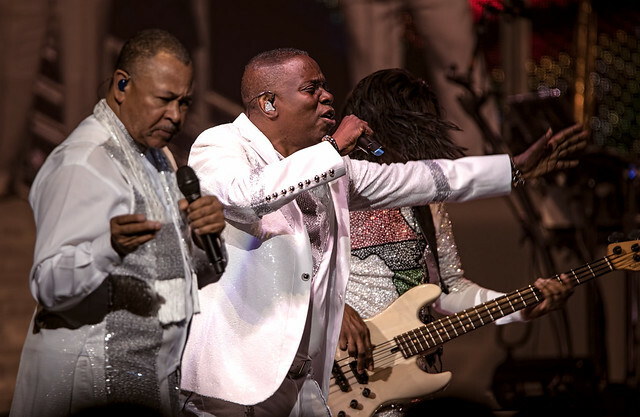 Philip of course is one of three original members of Earth, Wind & Fire alongside bassist Verdine White and drummer Ralph Johnson. 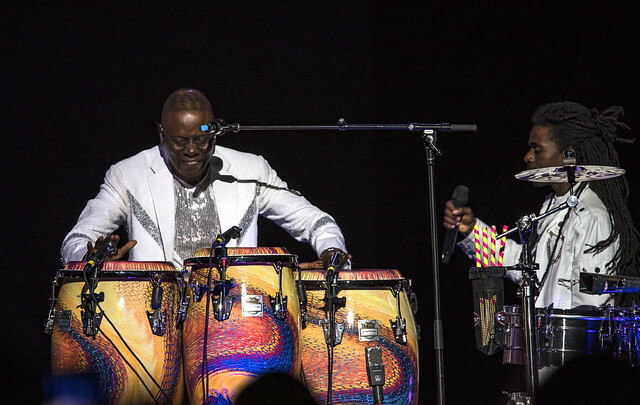 The three men kept spirits high through an outstanding selection of 18 songs representing the best of Earth, Wind & Fire’s powerful catalog. Not only was Philip’s powerful voice on display throughout the evening, but he enticed the audience with his charming kalimba, which he played most notably for “Kalimba Story.” The dulcet tones of the “thumb piano” enchanted the arena while Philip focused his full attention on the handheld instrument for the soothing selection. 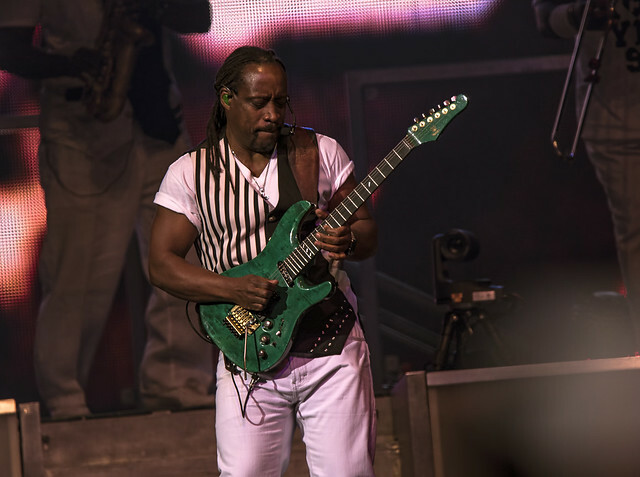 The kalimba and the reverence it received from the band and audience alike is an element of Earth, Wind & Fire’s musical composition that truly serves as a differentiator, and Philip is a master of mesmerizing with the small instrument. 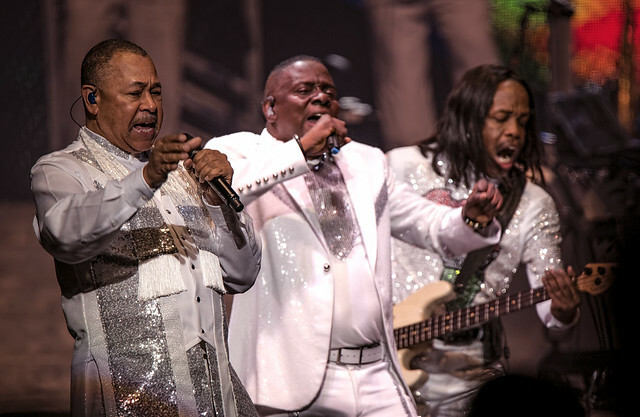 About halfway through the set, the 11-man band broke out the title track to The Way of the World, bringing together Philip and Ralph for some impressive harmonizing with B. David Whitworth and Philip Bailey Jr. Guitarist Morris O’Connor shined throughout the song, which relies heavily on the smooth grooves of his melodies to carry it. 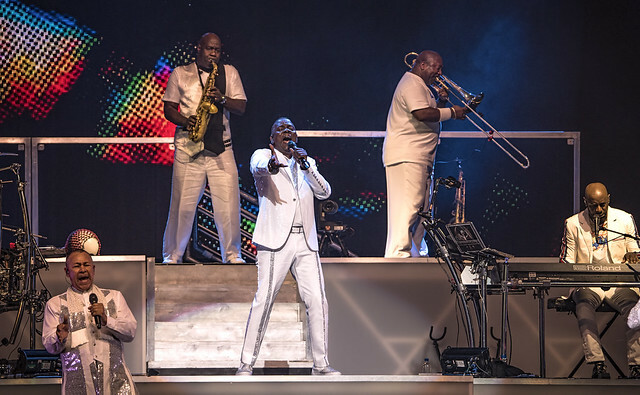 As the concert headed into the latter third, it hit full steam with a string of the band’s most popular numbers. Philip, whose unearthly voice truly has withstood the test of time, unfurled his full vocal power for “Reasons,” a ballad that relies upon his majestic falsetto. 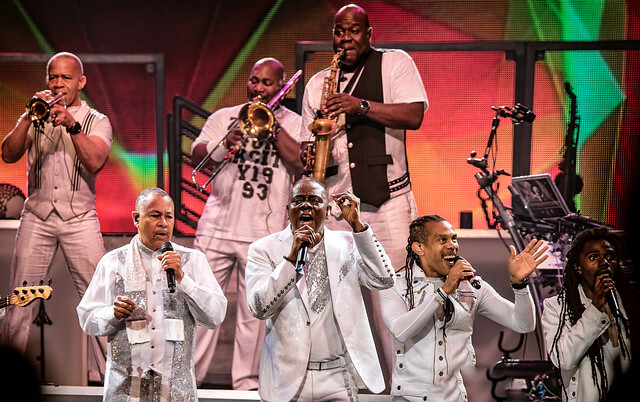 The show-stopping selections kept flowing with “September,” “Boogie Wonderland,” and “Let’s Groove” — all three indelible smashes, any one of which would serve as the career highlight of a storied band such as Earth, Wind & Fire. 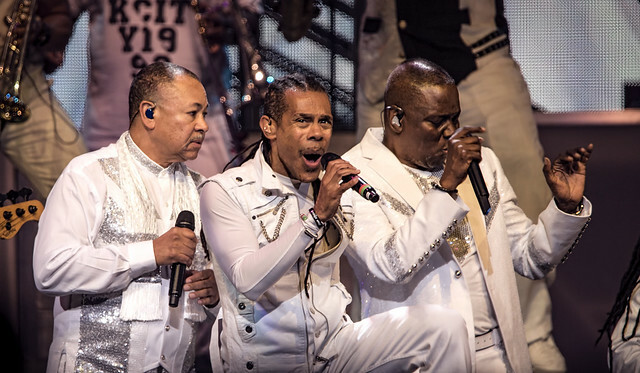 But Earth, Wind & Fire is Earth, Wind & Fire because only they could have done them all with the appropriate mix of soul, and funk. 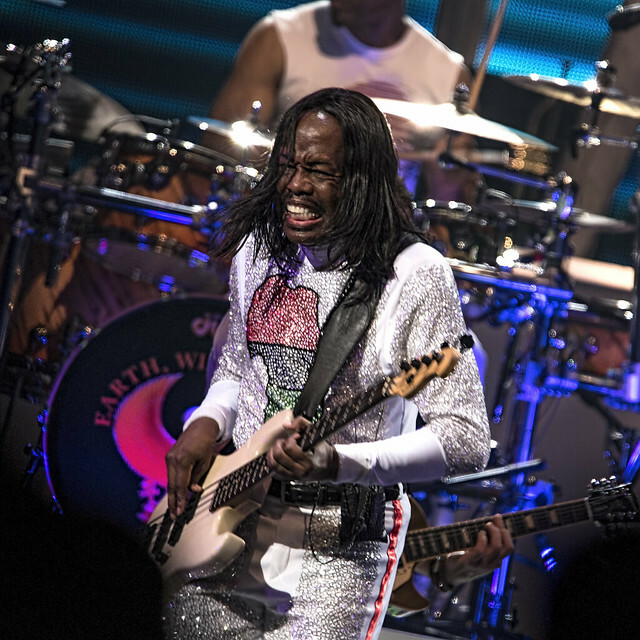 And speaking of funk, where would we be without more Verdine on the bass? 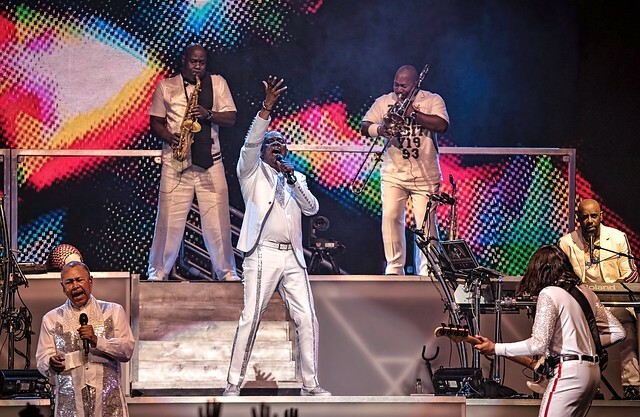 The unstoppable man was a lightning bolt of energy throughout the show, kicking up his heels in furry white boots that demonstrated his own personal style among the matching silver and white suits worn by the band. 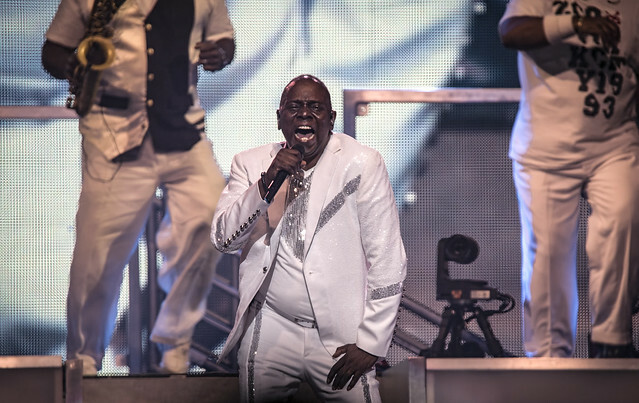 His signature basslines were on display throughout the show with songs like “Boogie Wonderland” serving to remind us that the man is a born entertainer. 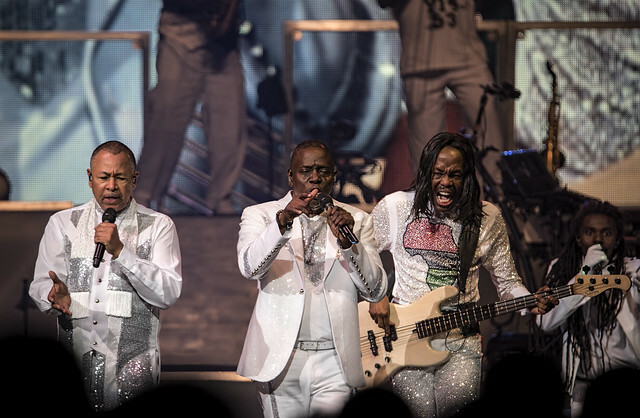 Earth, Wind & Fire remain on the road tomorrow, Aug. 15, in Indianapolis, then they keep the 2054 Tour going through Sept. 27, when they wrap it up in Colorado Springs (not far from Philip’s hometown of Denver). 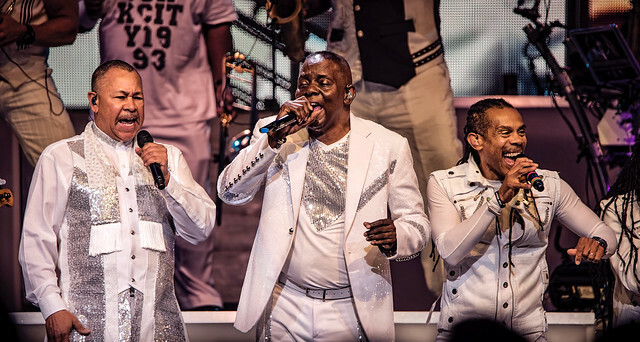 Get out there and dance the night away to the superstar hitmakers. 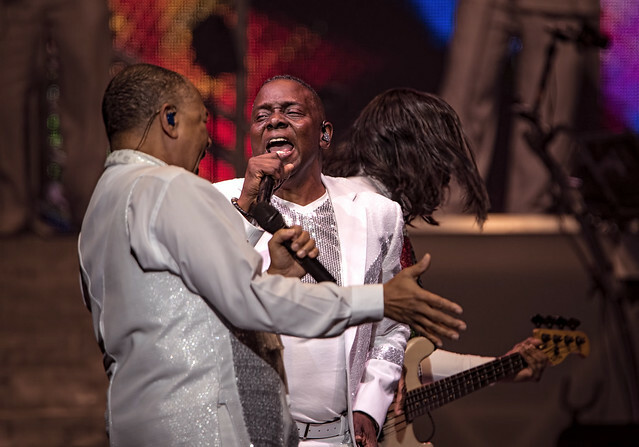 Here are some more pictures of Earth, Wind & Fire performing at Capital One Arena on Wednesday, Aug. 9. All photos copyright and courtesy of David LaMason.